Do you have a go-to food in your home that everyone absolutely loves? For us, it's peanut butter. I say this with all honesty, if you were to come into my home, you could bet that you can find peanut butter at all times in our pantry. One of the go-to brands I always use is Kraft Smooth Peanut Butter. It's not only affordable, it taste great and my kids love it. Although it's common to have peanut butter on toast or with jam/jelly, we love eating it with just about anything. From making peanut butter cookies, ants on a log or spreading it on crackers, we use peanut butter for lots of things. And of course there are those occasions where I sneak in a spoonful to eat right off the spoon. 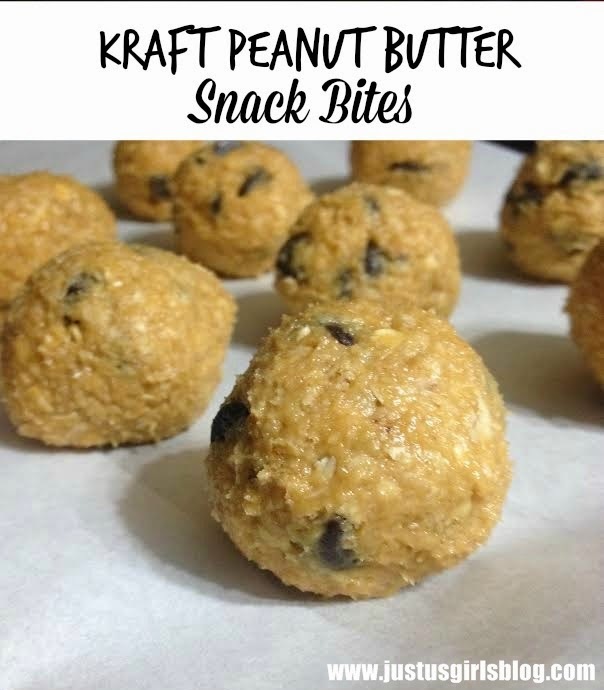 There are lots of different peanut butter kid approved snacks you can make for your kiddos, the one we've come to love is the easy no bake, Kraft Peanut Butter Snack Bites. These bite sized delicious snacks are perfect for any occasion and can be made in little to no time. I've made these a few times using the same base recipe, but changing it up a bit adding marshmallows, chia seeds and chocolate chips. My kid's all-time favorite is when we use the chocolate chips. These bite sized goodies don’t last a day in my house once the hubby, kids and their friends get their hands on them. These would be great to bring at a family get together or for your child's team if they are on any after school athletics team. MIX together all ingredients in a medium bowl until blended. ENTER TO WIN: Be sure to head over to sheblogs Canada to enter the Make It Yours photo contest. To enter all you have to do is share a photo of your Peanut Butter Snack Bites recipe and you will be entered to win 1 of 4 Kraft Peanut Butter prize packs. Disclaimer: Although this post has been generously sponsored by Kraft Canada, the opinions and language are my own, and in no way do they reflect Kraft Canada.